Chelsea moved to within two points of the Premier League leaders Liverpool, after ending the Reds 11 match winning streak at Anfield. Demba Ba capitalised on a Steven Gerrard slip on the stroke of half-time, before Willian finished the game off in injury time. Branislav Ivanovic and rookie Tomas Kalas were superb at the back, as they kept the league’s top scorer Luis Suarez quiet for majority of the match. 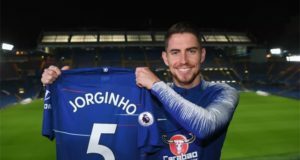 Despite the talk that Jose Mourinho would rest everyone for the Champions League tie with Atletico Madrid, only Gary Cahill and Willian, who are guaranteed starters on Wednesday, found themselves on the bench. Unsurprisingly, Liverpool dominated the possession, however Chelsea kept their hosts at bay and almost opened the scoring through Ashley Cole. During the first half injury time, Gerrard received the ball on the half way line, but his slip let in Ba, who finished well through Simon Mignolet’s legs. 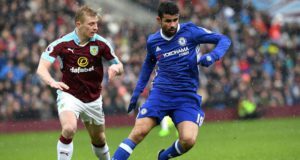 A draw would have effectively ended Chelsea’s feint title hopes. Liverpool came close to equalising through Luis Suarez, but Mark Schwarzer made a good save. The Australian was forced into a better save minutes later, doing brilliantly to deny Joe Allen a leveller. Anfield was beginning to become flat and Liverpool rarely threatened a late equaliser. They were hit on the counter attack as Fernando Torres unselfishly squared for substitute Willian, who couldn’t miss!